Need a new foundation? 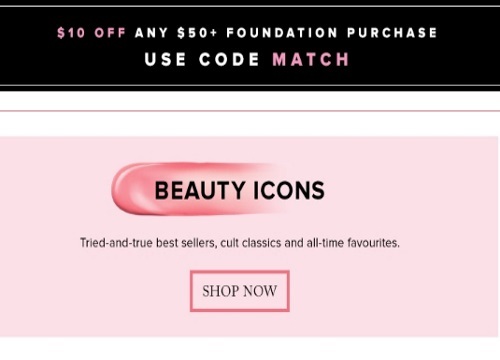 Hudson's Bay is offering $10 off any $50+ foundation purchase! Enter the promo code MATCH to get this offer. Available for a limited time. Plus, if you purchase one of the qualifying foundations you can get a bonus 2000 Hudson's Bay Rewards points, which works out to be redeemable for a $10 Hudson's Bay gift card applicable on your next purchase.